How to use FinalMesh Help. Click on Help button, cursor will be changed to Help cursor ( ). Click on any part of FinalMesh, menu with available help topics will be displayed. Anytime, click on help button again or press Esc key in order to cancel help mode. Open File - Click File, Select Open [Key Alt+O] and browse for file. Learn more. 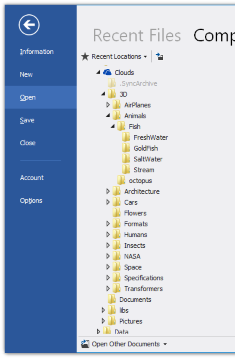 Merge File - merge with previously loaded file. Save File - Click File, Select Save As [Key Alt+S], save to 3D, Image, PDF, WebGL. Learn more. Create Animation - make simple keyframe animation. Main Menu - main menu. Materials - list of materials. 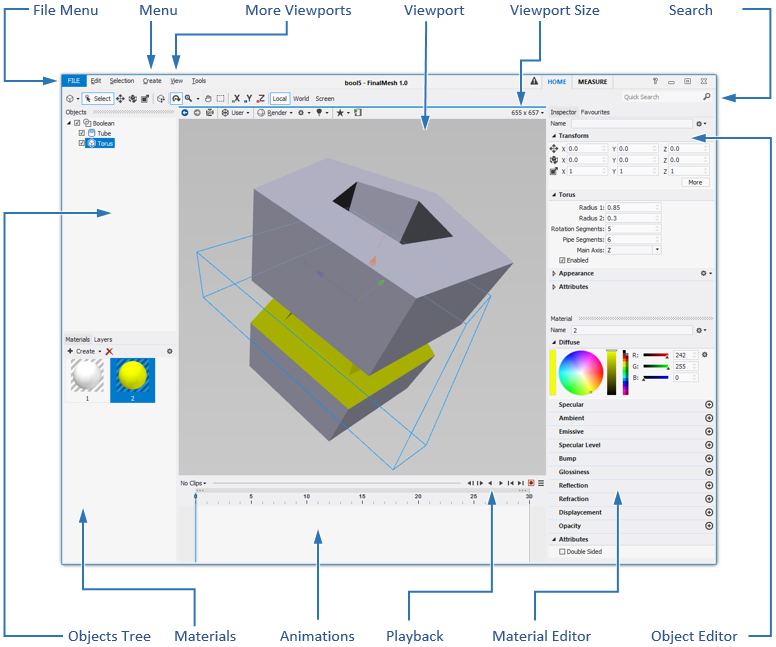 Viewport - view 3d file. Batch processing - convert series of files. Command line - command line switches.